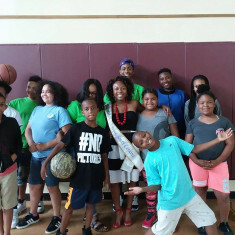 Since 2009, Miss Black South Carolina has provided young women of color a platform to showcase their artistic talent, scholastic abilities, and authentic charm. Local titleholders in the MBSC program showcase their talent, develop their leadership and social decorum skills while promoting a platform issue that is directly related to their educational and career goals. Whether you are a novice or pro, there’s something for everyone. You will develop a platform that connects with your education and career goals. Whatever you dream to be, there’s someone you can reach with that dream to impact their life. We do not offer local competition so we appoint titles based on where you live. To enter is simple. All you have to do is complete the section on the website www.missblacksouthcarolina.com. When we receive your inquiry we will set up an appointment time for your interview. If you are under 18, you must have a parent or guardian participate in the interview call. Competition categories are the interview, with portfolio presentation, on-stage question, personal introduction, and talent! 2018 Competition is April 8, 2018. Make a minimum of one (1) monthly appearance. Workshops to help you prepare. Prize package value $5,000. The deadline to enter is October 1, 2018. Additional information is on the website www.missblacksouthcarolina.com or find us on facebook.